Long before anyone had identified Autism Spectrum Disorder (ASD), inspirational figures throughout history were among those who would, today, likely have an ASD diagnosis. Today, we’re “lighting it up blue” by highlighting one of our favorite composers who, in all likelihood, thrived on the spectrum! Wolfgang Amadeus Mozart was, by every account, a child prodigy. As a four year old, he could learn and play a piece of music in under thirty minutes. By six years old, he was composing original music, and by the age of eight, he was writing whole symphonies. His intense focus allowed him to compose an astonishing 600+ pieces of music in his lifetime. Along with his incredible giftedness, Mozart is said to have struggled with impulse control, repetitive behaviors, and obsession with things that interested him. In spite of these challenges, Mozart realized his amazing potential and delivered a legacy of timeless works that we know and cherish today. 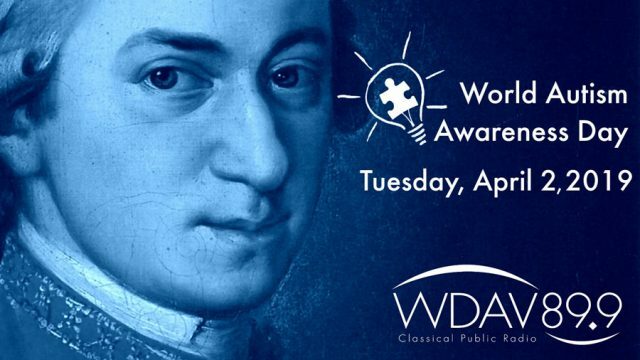 In honor of Mozart and all of our friends and family with Autism Spectrum Disorder, we’re delighted to raise awareness and celebrate the limitless potential of those on the autism spectrum!